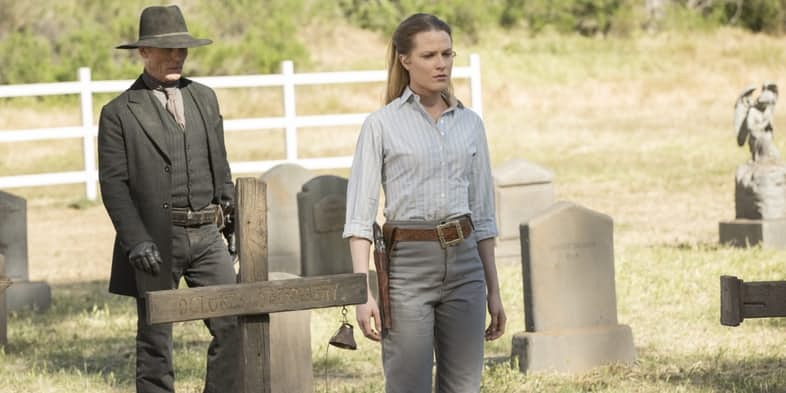 The first season finale of Westworld, The Bicameral Minds, confirmed more fan theories, had additional revelations, and leaves big questions as to where the show is going for the second season. Major spoilers ahead. We found out much more about Bernard in the final episodes, both that he is a robot and that he was made in Arnold’s image. 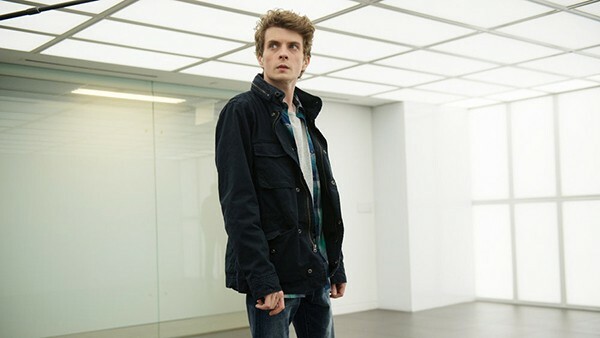 Ford did not seem very surprised that Bernard was revived in the finale, but he always seems to be many steps ahead of everyone else, largely as he has programed the actions of the hosts to a greater degree than previously revealed. What was a surprise was that Ford was on the side of the hosts, now taking Arnold’s side. Early questions of whether Ford was good or evil now seem irrelevant. What matters is that has taken up Arnold’s mission to prevent robots, which would ultimately achieve consciousness, from being mistreated and exploited. This does leave the question of why Ford found it necessary to kill Arnold in the ninth episode, but perhaps this does not matter as death is only temporary on Westworld. Ford’s motives appear entirely different now that we know that he was on the side of the hosts, even if some of his earlier actions might have seemed contradictory. (I have seen speculation that possibly early scenes were filmed before the producers really figures out where they were going.) Despite his motives, he did utilize violence and was responsible for many deaths. Some of the violence might be rationalized, at least on Ford’s part, by the view that suffering and trauma were the key to waking up a host’s consciousness. Other deaths can be explained, even if not justified, by how low a view Ford held of humanity. This is echoed in the view of Delores, which probably reflects the views of Ford and/or Arnold, that humans are destined to go the way of dinosaurs. Maeve proceeded with her rebellion, but we learned that this was part of Ford’s programing. Both Delores and Maeve were given the opportunity to make a decision, but it was no surprise that Maeve decided to remain in the park and search for her daughter in one story line after seeing the mother and daughter together on the train. 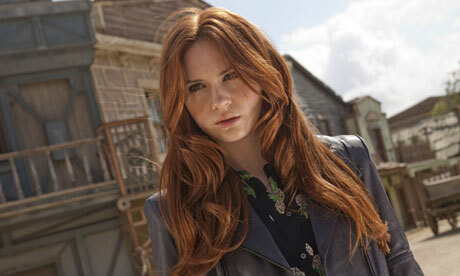 Therefore she did not infiltrate the outside world, which may or may not be part of the long term plans for the show. We also finally saw William put on a black hat, and then fade into The Man In Black thirty years later. This was widely predicted on line since the second episode when William and Logan were first introduced. It was a shock to Delores–possibly the final shock she needed for her to become fully sentient. While it might make sense that she does not connect the William of thirty years ago with The Man In Black of the show’s present, this makes less sense if William has been visiting the park, and presumably Delores, over the past thirty years as he aged. I am also not entirely satisfied with the explanation of how William’s character changed over the years. While he was disappointed in the finale to find that it was true that the maze was not for him, he did get what he wanted in having consequences to actions and the ability to get hurt at the end. 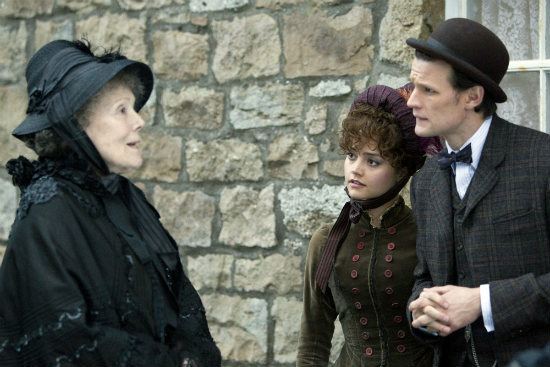 Other than for Ford’s plans, the biggest surprise of the episode was that Delores was Wyatt. While it has been clear there was some connection between Delores and past events in the park, it was a surprise to see the scenes of her actually killing the original hosts as part of Arnold’s failed plan to prevent the park from opening. This did make it more plausible to see her shoot Ford, her opportunity to make a choice in the finale, which I suspect was primarily because of the meta requirement of Anthony Hopkins only signing up for one year. The fate of some characters is less clear if you go under the assumption that if a character is not actually seen to have been killed will very likely return. Logan was last seen naked on a horse in distant parts of the park. If he survived this, he could be expected to return as a very angry enemy of William/The Man In Black. We also do not know what happened to Elsie and Stubbs. I have seen both the producers and some cast members refer to the first season as a prologue for the story ahead in several interviews. It was inevitable in this form of story that the robots would rise up and rebel, but in contrast to the movie, the audience is made to be sympathetic towards the robots. From various interviews we know that Jimmi Simpson (William) will not return but Ed Harris will. 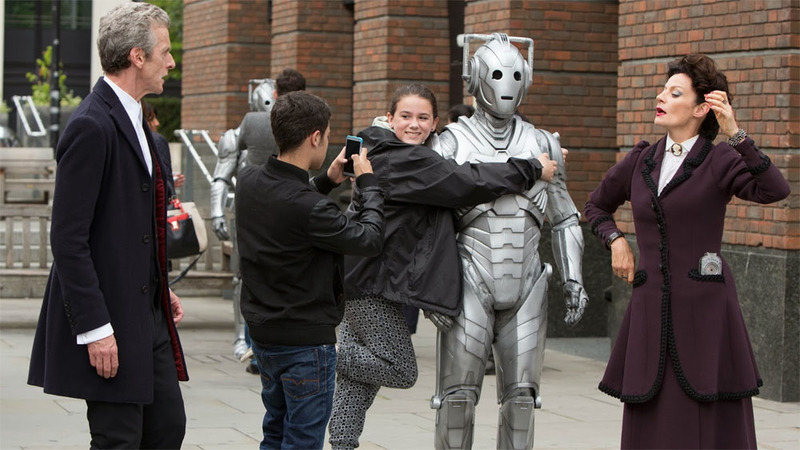 Presumably this means that the flashbacks to thirty years ago are over, unless they will involve different people/robots. 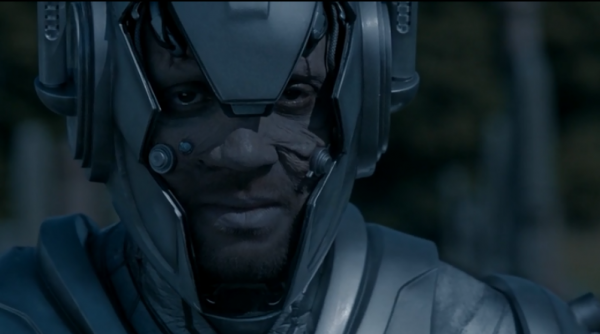 While it is possible that Ed Harris will only be returning to be killed in the opening, with Ford gone I wonder if Jimmi Simpson will be playing the role of the main human from Delos, and the opposition to the robots taking over. This could possibly include an older version of Logan as an enemy, with Elsie and Stubbs also playing a part if they are still alive. 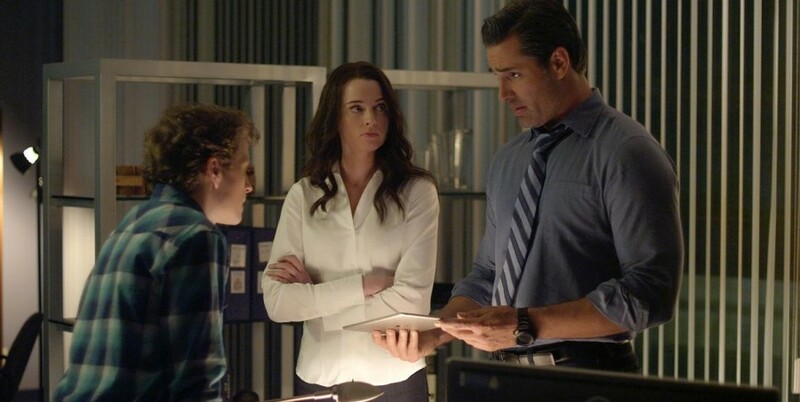 On the host side, both Evan Rachel Wood and Jeffrey Wright have said they are returning. We do not know whether the next season will continue to take place primarily in the same areas, if we will see the outside world, and to what degree other parks are involved. We know both that this is Park 1, implying other parks, and we have seen a sign of Samurai (or possibly Shōgun) World. TVLINE | We see Felix and Maeve run through Samurai World or Shogun World or whatever it’s actually called — the backstage area for another park. In his note to her, we see that her daughter is in Park 1… indicating that there are multiple worlds. What can you tell me about the concept of multiple Worlds? NOLAN | Lisa and I embarked on this with a feeling that we’d need a plan, we’d need a beginning, a middle and an end to embark on something like this. We didn’t want to do a series that was really popular and we just kept doing it and doing it and ran out of ideas. We wanted to tell the story of the origin of a new species and the new messiness and ambition that would entail. 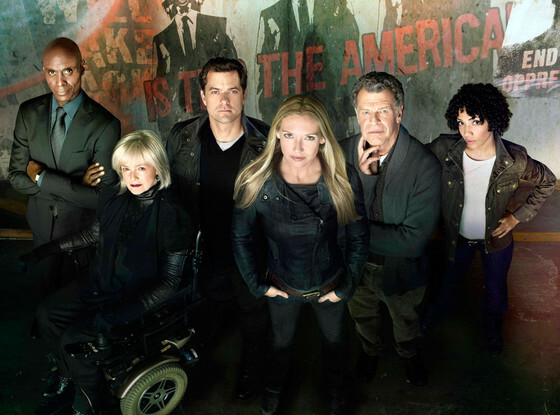 We wanted the show to change, season on season, sometimes in terms of the characters you’re looking at, but with many familiar faces along the way. And see how their journey, the hosts’ journey, shifts and changes as they understand more of the world around them. At the same time, the title of the series and our interest in the Western aspect of it, and what that means and why that genre was so durable and so evocative for so long, for us means that there’s always a connection to that place and that key of storytelling. Hopefully the ambition of the story and the scope of the story grows season on season, but you never quite forget where it started. Jonathan Nolan: Oh, he’s dead. We’ve perceived Ford to be one type of person, and at the end he reveals himself to be a different type of person in terms of how he feels about his creations and how he feels about his own life’s work. Lisa Joy: Only a titan like Anthony Hopkins could have done all the nuance that he embedded in this series. His character in my mind is always a little bit of Prospero in “The Tempest.” You think his plan involves one thing. You kind of underestimate him. Then you see this glimmer of malice and menace that you didn’t anticipate, so he goes to being the villain. Then by the end you realize that this is in some way about atonement for him and that he’s chosen this very difficult road because he believes it’s the only road in which he can atone for the mistakes of the past. We got confirmation in the finale that the show takes place on multiple timelines, which had been hinted at strongly in previous episodes. How did you settle on that structure? Joy: I think the key is to let it grow organically from the concept and the characters. Even though it is a very complicated, twisty set of reveals, this is the one show in which it is totally organic to what they’re experiencing. You have a group of hosts who are basically immortal, and the fundamental thing that is holding them back is memory. Unlike humans, who have these imperfect memories — we can’t really conjure events in all the detail they occur — the hosts have a different problem. They’re able to bring back the exact replica of that memory so lifelike and engrossing in detail that it’s impossible to distinguish today from tomorrow or yesterday. Nolan: This is not the first time I’ve written about amnesiac characters. I remember talking to my brother [Christopher Nolan] about “Memento” and how I was intending to structure that as a short story. I wanted to write it as a deck of cards and then shuffle that to make it completely, aggressively non-linear, because that was that character’s understanding of the world. Here we had the unique opportunity to try to illuminate some of the differences between how an artificial person might understand the world, and especially an artificial person who had been artificially held back in terms of their understanding of the world in order for us to facilitate us being able to do whatever the f–k we want to them. Season one was about control and season two is poised to explore chaos. 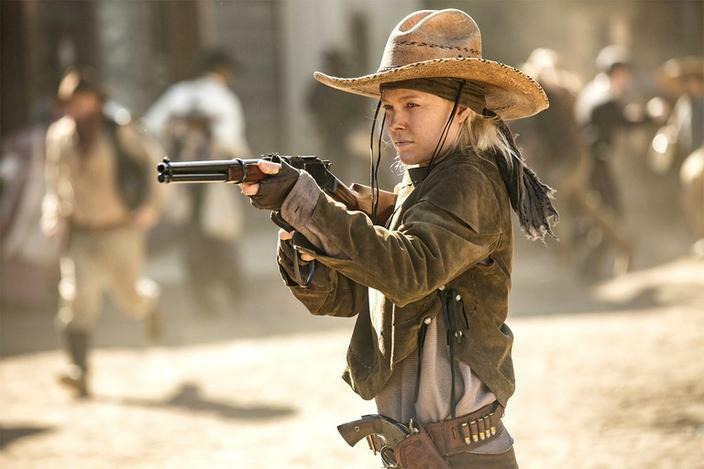 What brought Westworld to this chaotic and extremely violent moment in the story? Nolan: I think most television series … and I mean no disrespect by this. I’ve worked in television for years and I love all of the different ways you can build a show. But for the most part, you get through the pilot, you build your sets, you hire your cast, and it’s working, and you just want to hang out in that moment and enjoy that moment with that iteration of the story you’re telling. For Lisa and myself, with this show, we never had any intention of staying in one place. We don’t want to shoot on the same sets for 10 years. We want to blow the sets up and move on to another piece of the story. So we said when we started working on the series that we wanted to be ambitious. We wanted each season to increase in that ambition and in the scope of the show. It also follows the story of our hosts. Their lives begin in loops, and then expand and change and grow. It’s an origin of a new species. We want to follow that story all the way to the bitter end. Joy: The control vs. chaos reminds me of the Langston Hughes poem, about what happens to a dream deferred. We’ve set this up as Dolores living in a dream, but it’s someone else’s dream. She can’t live her own life. Then, at the end, we see. It explodes and goes out with a bang. 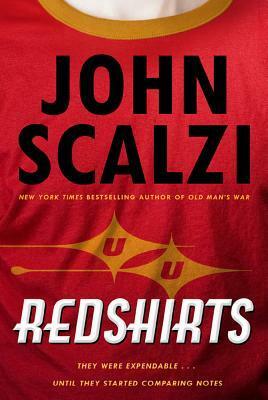 Ford reveals his new narrative is designed to activate the hosts’ consciousness and ignite revolution against their human oppressors. He ultimately isn’t in conflict with Arnold; he actually has come to agree with his old friend. How did you arrive at this idea? Ford is no longer the last man standing, thanks to Dolores. Why did Ford need to die in order for this revolution to begin? Joy: It’s a little bit like when Arnold says: “The violence has to be real. The stakes have to be real.” Ford is doing this in such dramatic fashion in front of the Delos board. He’s basically taking the safety off. There’s no turning back from this. It’s not a kind of fiction anymore. I think that’s part of it. Nolan: We talked about the Julian Jaynes book [called The Origin of Consciousness in the Breakdown of the Bicameral Mind], which we thought was a very interesting place to start in terms of understanding the hosts’ cognition. They would be coaxed into life by this voice of god, and then at a certain point, this god has to realize that his partner was right. The appetites of the audience they were catering to and the story they were telling wasn’t what they wanted it to be. These creatures had grown into sentience within that story. They realize the only way for these creatures to be truly free is for that god to die. If on a very literal level, if Ford’s voice is the last thing … we’ve established his voice as an almost telepathic control of the park. The only thing standing between the guests and the hosts is Ford, so he removes himself from that equation. 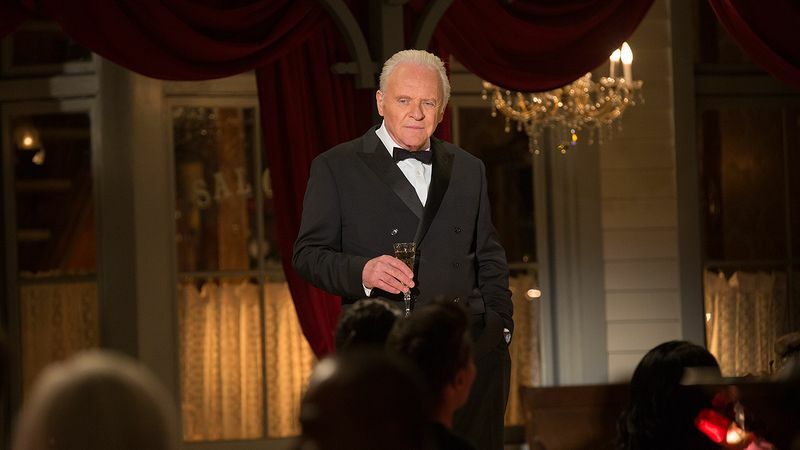 Will we see Anthony Hopkins in season two? Nolan: I think with this show, you want to assume nothing. We had a wonderful experience. It was one of the greatest privileges of my career so far, getting to work with Anthony for the first season. It was an incredible experience. How afraid of Dolores should we be? How much Wyatt is in there? Joy: I think that’s something we’ll come to see, and she’ll come to find also. 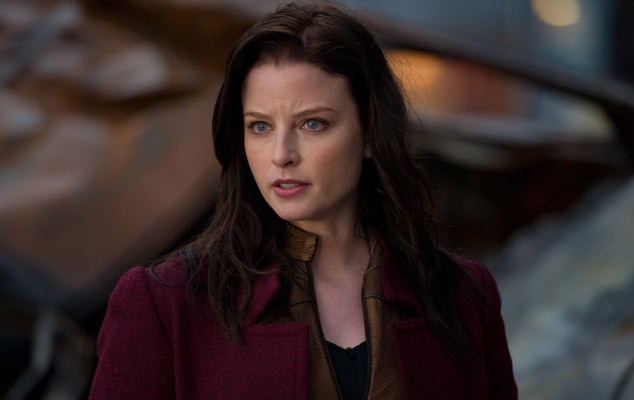 I think it’s impossible to imagine … if you’ve been subjected to the violence and seen the evil Dolores has seen, the pendulum wouldn’t swing the other way, as we see it starting to do in the finale. But there’s a point, too, where I think selfhood transcends the reactionary. The question will be when the dust settles and the pendulum stops swinging, who will Dolores be? We have to wait until 2018 to find out what happens next, but similar ideas are frequently seen. 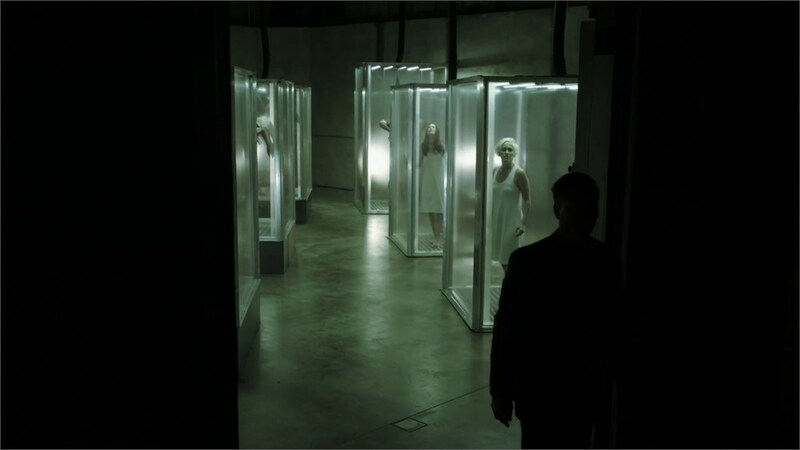 Humans, while lacking the budget and attention of Westworld, is handling similar concepts very well, and is not limited to a theme park. 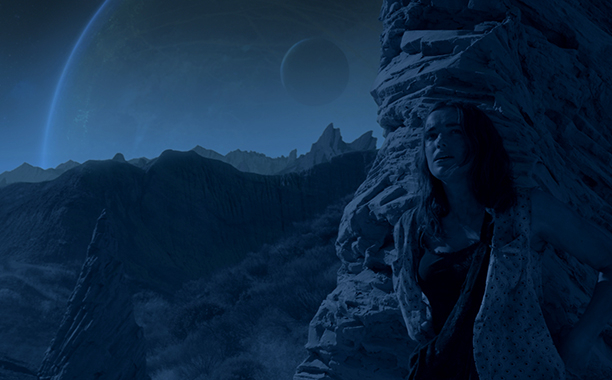 Agents of Shield showed in the fall finale that Artificial Intelligence will be the theme of the second half of this season. 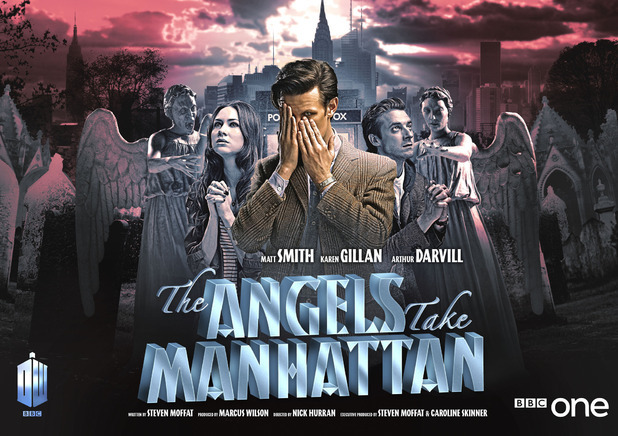 The Return of Doctor Mysterio, this year’s Doctor Who Christmas special, has the Doctor return to New York for the first time since The Angels Take Manhattan. 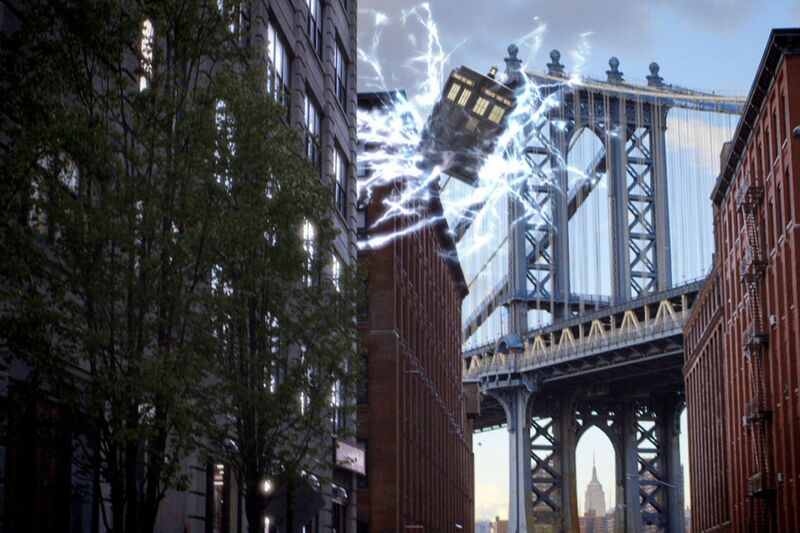 Perhaps this is why the TARDIS appears to be having problems in some of the preview pictures as the Doctor cannot return to New York or risk time distortions. 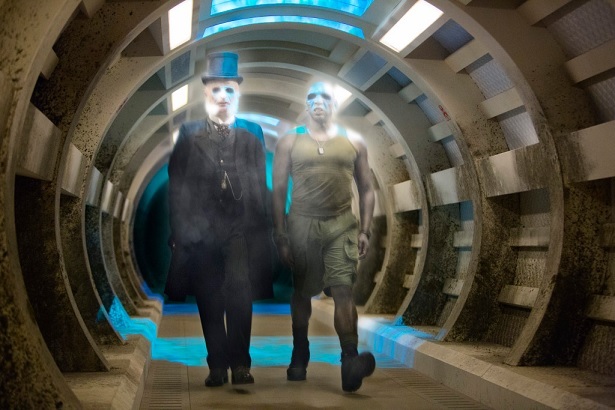 Presumably the time distortions would have been far more serious if he had attempted to go back in time to save Amy and Rory as opposed to going in the present day. We will see if this is a part of the episode, or just another plot hole. Dirk Gently’s Holistic Detective Agency completed its first season. I am a few episodes behind, and thoroughly confused as to what is going on (and as I’m behind, didn’t actually read this link supplied for those interested in a discussion of the finale). 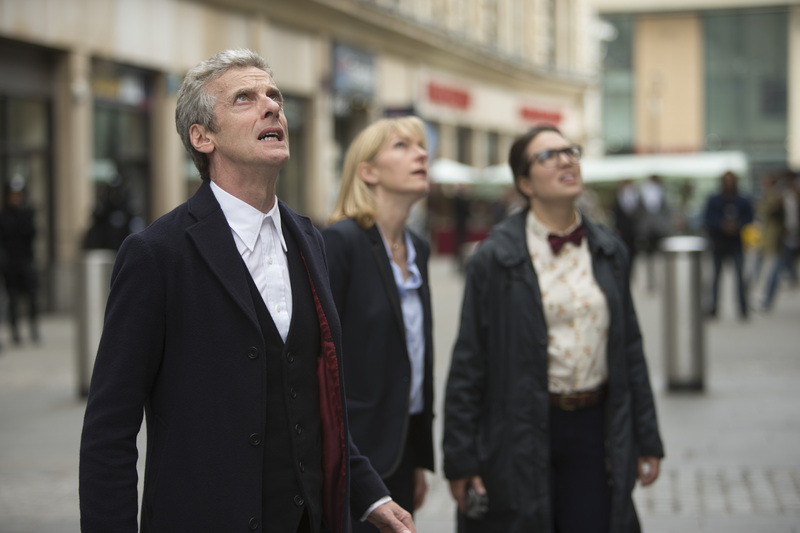 BBC America has renewed the show for a second season. 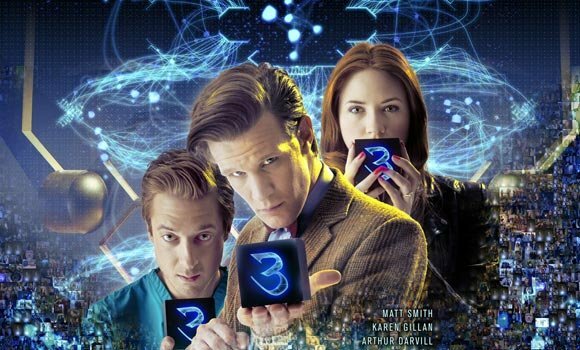 The Power of Three refers to both the power of the alien cubes and to the power of the three stars of Doctor Who. 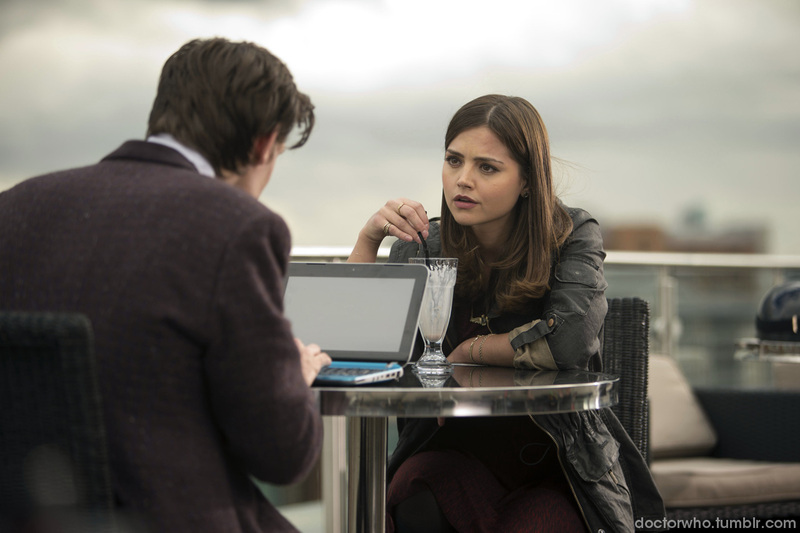 This week’s episode was primarily a last look at the Doctor’s relationship with Amy and Rory before their final episode next week. 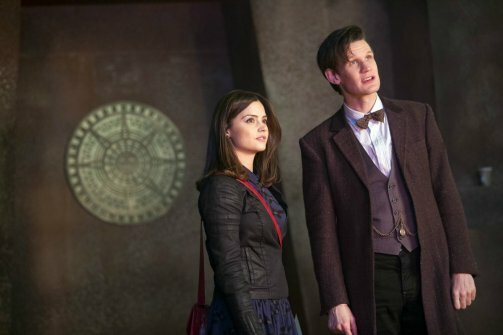 The slow invasion allowed the three to spend a lot of time together, and we learned it has now been ten years since Amy first went off with the Doctor. 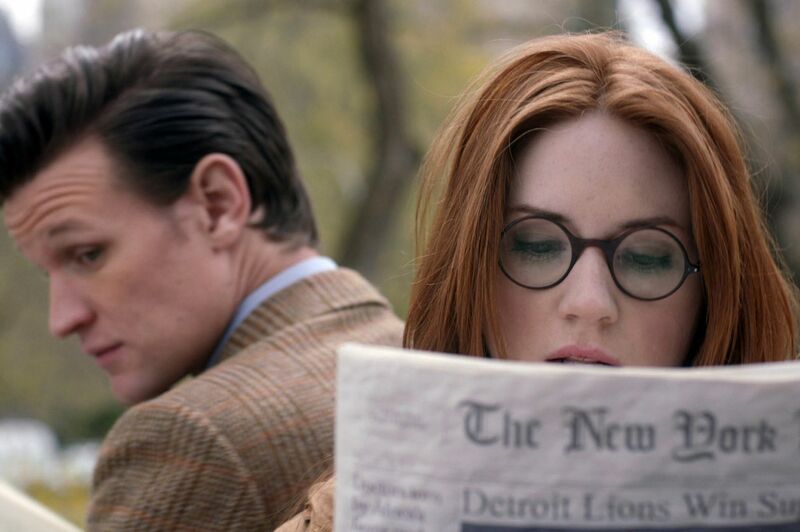 Now Amy and Rory are starting to live normal lives, making commitments for the future which they would not have made in the past in case they were off somewhere with the Doctor. The episode also provided a reunion with UNIT. It came as no surprise that the new head of UNIT, Kate Stewart, played by Jemma Redgrave, turned out to be the daughter of Brigadier Lethbridge-Stewart. 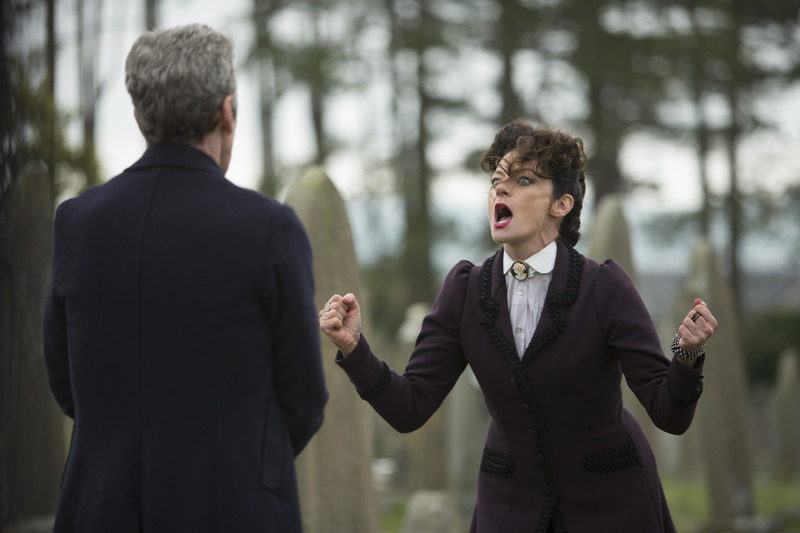 Kate, apparently unaware that to most of the universe the Doctor has died, recognized him by his manner of dress and verified the presence of two hearts. Scientists are also now in control of UNIT. 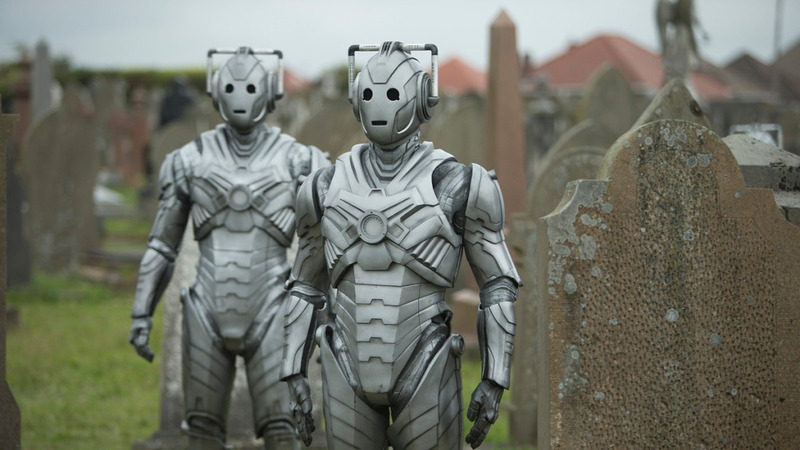 Rory’s dad Brian asked the Doctor about the fate of his previous companions. The Doctor answered, “Some left me. Some got left behind. 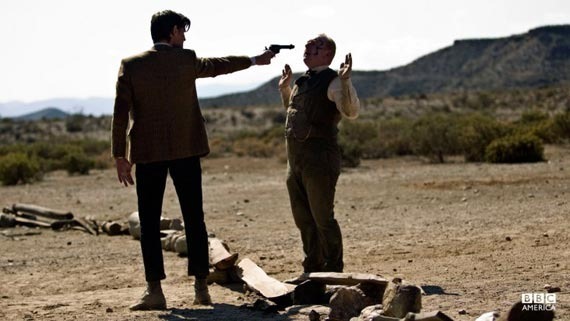 And some… not many but… some died.” While this could be preparing the viewers for next week’s episode, this did not stop Brian from encouraging Rory and Amy to go off once again with the Doctor. The invasion story provided an amusing backdrop as we saw the cubes become assimilated into day to day life over the course of the year. They were used for mundane tasks such as holding up menus in restaurants and had a thousand different Twitter accounts. 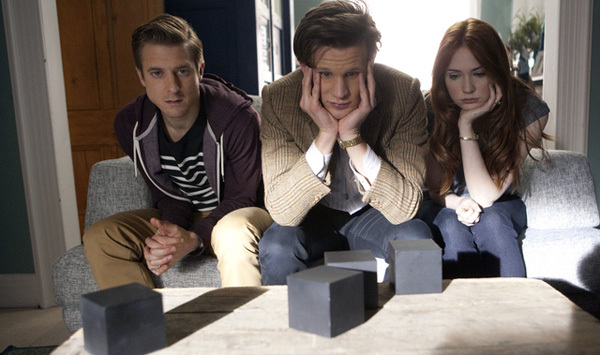 Did the disparaging comment on Twitter reflect the views of either Matt Smith or Steven Moffat? The episode, like all the earlier episodes of the season, also included light bulbs–this time Christmas lights. 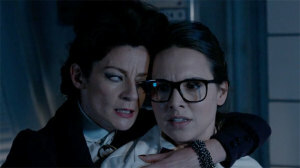 And above are two promos from the BBC. A new promo for Merlin is above. Despite the failure of multiple genre shows over the last couple of years, NBC is heavily hyping Revolution. If it succeeds I fear it will be because enough people like the gimmick of people fighting without modern weapons in a background which almost looks like our world. A sword fight in a Chicago hotel might be cool, but can this idea remain fresh for long? 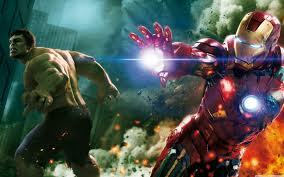 The special effects of a modern world destroyed without power were well done, but far too many genre shows try to succeed with special effects as opposed to a good story. The show is also reminiscent of Jericho in showing people living after a tremendous disruption to normal life. 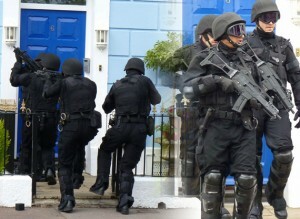 It is more like the final episodes of Jericho, showing the battle for control of the country. The pilot might have felt more plausible if it was more like the early episodes of Jericho, showing how people survived and established a civilization. Perhaps we will see more of this in flashbacks on future episodes. 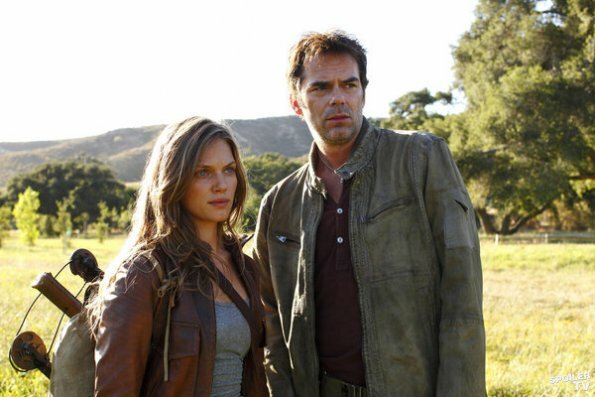 Like Lost there is a big mystery (along with Elizabeth Mitchell) , but according to J.J. Abrams the show will not feature long, drawn out mysteries as on Lost. The show’s writers do know why the power went out, and hopefully it doesn’t involve a man in black or turning the power back on with a donkey wheel. As it appears that this was intentional, there are two possible motives which I sure hope do not turn out to be the explanation. I hope it is not a case of environmental radicals turning out the power to reduce carbon emissions. Anyone capable of stopping all electricity in the world would probably be able to come up with a more sensible solution to global warming such as a clean energy source or a way to cool the planet. 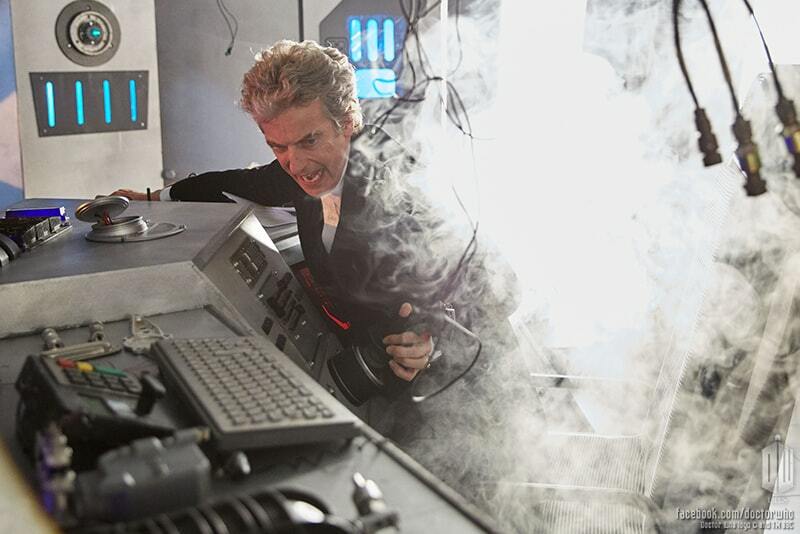 I also hope this is not a reaction to the situation seen at the start of the pilot, showing signs of too much technology invading our lives. If someone with advanced technology wanted to act upon this, it would make more sense to knock out television and cell phones, as opposed to all electricity which would cause massive deaths.